Representing brands from the United States and throughout Europe, it gives us the ability to source from a huge selection of shapes and designs. We are proud to work with some of the industry’s most exciting and interesting brands. Below is a short introduction about each of our suppliers, telling you a little about them and what makes them quite so special and different! 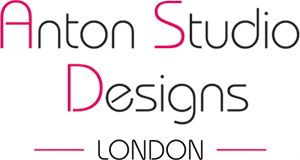 Anton Studio Designs is one of two of our own in house brands which we have introduced in recent years. First launched in 2012, ASD was developed to enable us to create our own distinctive and sophisticated glassware assortment, with a focus on fun designs and modern shapes. Thanks to this, and its smart gift packaging with pink or grey trim, ASD has quickly grown within DRH to become an important brand with some great, UK designed collections. Specialising in glassware, Artland are on the eastern side of the States in New Jersey, and have the most amazing designs, ranges and product knowledge. Their stemware collections span both giftware and loose stock, and the majority of Artland’s ranges contain some element of colour. Unusually, and thanks to their superb ability to source mouth blown glass, the colour is within the glass itself– not sprayed on – making it more suitable for use in the dishwasher. Sitting alongside their stemware offering they also have a fantastic assortment of beautiful, large plain serveware items, which too is gift boxed. BIA, based in sunny California, supply us with a huge selection of ranges, spanning a multitude of core areas of the business. Their most iconic offering is that of their award winning, giftware collections. Among these are not only some fantastic tea and coffee sets, but also their great selection of highly identifiable (and in some instances, collectable) cheese designs. To add to this, in association with BIA, we also work exclusively with UK artist, Clare Mackie, to create beautifully illustrated, ceramic, giftware ranges, with which we have won several industry awards too. Through BIA, we also source beautifully shaped bakeware, fun and colourful tableware assortments, and a sizable collection of core whiteware items. The Bohemia brand is renowned for producing quality glassware over many centuries featuring their extraordinary craftsmanship. Producing in both 24% lead and non-lead, Bohemia’s offering in shape and design in unparalleled. Covering both stemware and accessory items, our assortment has been selected to represent some of the very best of their abilities and superb quality. The Dornberger brand is one of the longest established in the UK glass industry, and can be traced back to 1895, with the same family remaining involved with it since its earliest days. Today, as the second of our in house brands, it is intended that this name and brand will become the leading name associated with our own shapes and designs of both lead crystal and plain glassware. Primarily, the Dornberger brand was launched for the Trophy & Engraving market, however, it very quickly became evident that the plain stemware and giftware was incredibly popular with our customers in the retail and hospitality industries, and so it swiftly worked its way into our main catalogue! Lubiana is located in Poland and is one of the largest factories in Europe, producing hundreds of millions of tonnes of porcelain every year! Lubiana specialises in porcelain for the catering industry, however due to an amazingly expansive range many of their shapes are far from out of place in the home. As well as a multitude of shapes offered, ranging from fine and light to catering weight, and square to triangular, Lubiana also are incredibly astute at bespoke surface designs. Designed and manufactured in Germany, Stölzle specialise in machine made, clear glass stemware and tumblers. They have a brilliant assortment of ranges – from the classically, soft curved lined glassware to far more modern collections with sharp angles. Irrespective of the range though, their quality levels are astonishing, and the glass they produce has incredible clarity and weight. Vista Alegre is a Portuguese producer associated with incredible high quality. Established in 1824, they use the skills and techniques used by generations of craftsmen. Taking pride of place within VA’s collections are some astonishing glass stemware and giftware ranges, comprising innovative shapes and designs, the majority of which are mouth blown, hand crafted , 30% lead crystal. These techniques give a unique purity and weight to the crystal, making it a world reference in quality, brightness and beauty.